I’m thrilled to have Laura Laing guest post on my blog today. 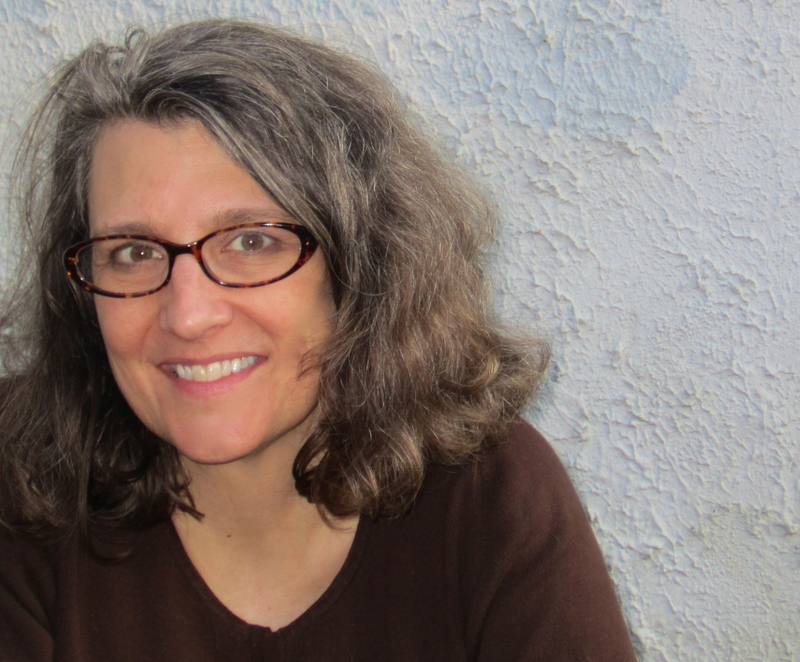 Laura encompasses an almost unheard of quality – a professional writer who’s also good with math. In this post Laura expertly walks us math-phobes (parents and kids) through the dark, mysterious world of numbers. If you’re interested in reading about my history with math anxiety, check out my guest post on Math for Grownups X to the Power of Huh? Or, How Math Anxiety Almost Ruined My Life. Anyone identify? Heck, I do, and I’ve got a degree in math education and make a living writing about math—for parents, schools and average, everyday folks. Fact is: math makes lots of people squirm. And I’m guessing that most of you know this is not a good thing. Math is an important and absolutely necessary tool. But what are we supposed to do about our lack of confidence or anxiety? And how should we help our kids avoid these awful feelings—or worse become truly math anxious? Read on. Ever find yourself saying, “I’m no good at math”? If so, stop it. Our kids really do listen to what we say. And as much as we might think otherwise, they aspire to be like us. So when they hear us say we don’t like math or aren’t able to do simple calculations, guess what? They take on those characteristics themselves. Consider this: Would you ever say, “I’m no good at reading”? Probably not. And most likely, you’d cringe if you heard your child saying the same. All of us parents know how to raise young ‘uns who love to read, right? We start by filling their nurseries with books and reading to them, faithfully, every single day. But math is a little tougher. Or is it? Fact is, it’s pretty darned simple to sneak in some math that builds numeracy (the math form of literacy) and helps fend off math anxiety. In other words, demonstrate the math in everyday life and let your kids see you doing math. Make math ordinary and necessary. It’s tempting to purchase workbooks and flashcards. But the real truth is this: everyday math is a much more powerful tool. And hopefully that bit of news is a big relief. Unless you are your child’s teacher, you really don’t need to take on that role. For once in your life, you can do the fun stuff that really builds confidence and ability. For example, if your child is confused about a concept, ask her to explain what she understands to you. Having her teach you is a great way for both of you to learn. During homework time, there are some really important questions you can ask your child, like “How did you get that answer?” In this way, you’re instilling a critical truth: math is more than the outcome; it’s the process. And you’re demonstrating that you care about what’s going on in her head. Just like with other childhood anxieties, it’s important to listen to your child talk about his feelings. They may seem overwrought or irrational, but research shows that simply letting those emotions out can greatly reduce math anxiety. It’s also critical to speak with your child’s teacher. You’re not necessarily looking for any special accommodations here, but you do want the teacher to be alert to any problems in the classroom. And if you worry that she is sending the wrong messages, let school administrators know. Unfortunately, research shows that girls can learn math anxiety from their female elementary school teachers. The more matter of fact you can be about math—whether it’s homework or everyday math—the better off you and your child will be. So make an effort to deal with your own math fears, as well as your child’s. It’s an investment that will pay off for both of you. Author of //rcm-na.amazon-adsystem.com/e/cm?ref=qf_sp_asin_til&t=kidsmentalhea-20&m=amazon&o=15&p=8&l=as1&IS1=1&asins=B0057RIVYS&linkId=db05138c9b36b50a8b6e945ca0eef38f&bc1=ffffff&lt1=_top&fc1=333333&lc1=0066c0&bg1=ffffff&f=ifr” target=”_blank” rel=”noopener noreferrer”>Math for Grownups, Laura Laing blogs at www.mathforgrownups.com and is the math expert at MSN.com’s Mom’s Homeroom. A self-proclaimed math evangelist, she asserts that math doesn’t have to be your BFF, but you can get along in public! 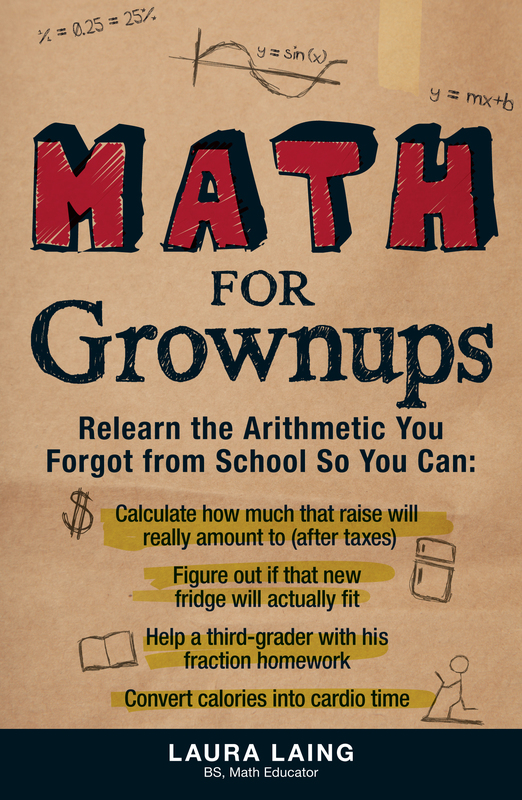 Note: The above Math for Grownups link contains an affiliate link meaning that if you purchase the book using the link above, I may receive a commission. This entry was posted in Experts, Facts, Social and tagged anxiety, homework, math, math anxiety, math for grownups, parenting, school, social. Bookmark the permalink.